On 31 March a marvellous exhibition, Travelling the Silk Road: Ancient Pathway to the Modern World, opens at the National Museum of Australia. Based on the review in the New York Times. I plan to make a special trip to Canberra to see it. 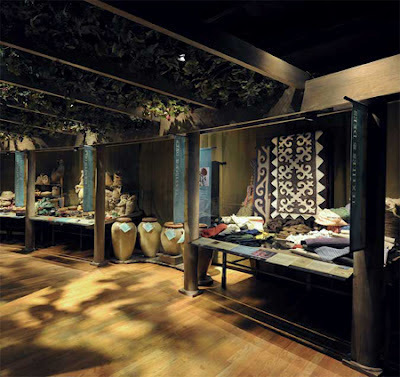 The travelling exhibition was designed by the American Museum of Natural History as a journey covering the entire distance of the Silk Road from east to west: from Xi’an, the capital of China, to Turfan, Samarkand and Baghdad, the heart of the Islamic world. It spans six centuries, from 600 to 1200 AD. According to the museum's publicity, visitors 'will be welcomed by life-size camels in full caravan regalia, rooms draped in brightly coloured silk fabrics, lanterns casting intricate light patterns on the floors, and the heady fragrances of exotic oils...you’ll be immediately immersed in the sights, sounds and smells of the world’s oldest international highway: the Silk Road'. Appealing to all age groups, the exhibition will include interactive features and accompanying activities to bring to life the vibrancy of this grand trade route that connected people, cultures and technologies. When you enter you will receive a passport that can be embossed with iconic symbols as you travel from one city to the next, marking your passage through the exhibition. Silk making and musical instruments will feature in the Xian section. Next is the lush oasis city of Turfan, famed for its vineyards. That section will include a karez, which formed the basis of the city's ingenious underground water system, and a night market. Drawing on Samarkand's history as a paper-making centre, rare paper-based objects will be on display and a computer-animated book will bring to life tales that merchants would have shared in caravanserais along the route. Baghdad was once a powerhouse of scientific scholarship, and the exhibition includes a working model of a water clock made of glass. 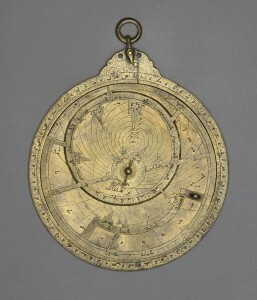 There is also a working model of an ancient astrolabe, used by astronomers to navigate and predict sunrise and sunset. An interactive display will teach you how to tell the time by plotting the position of the stars using an astrolabe. It runs until 29 July 2012 and details are at the National Museum of Australia's website. What a treat!